A grey stone comes from concretions in the sandy sediments and sand-pits around the area. 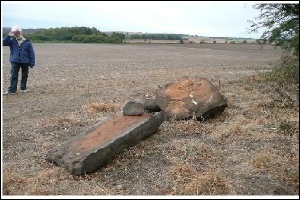 Here are two slabs almost 2 metres long and recently dug up. BRICKS made from local clay from fields near the village. 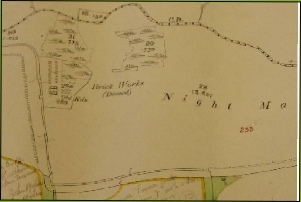 Below is a 19th map, showing brickworks, N of village. There are two ancient woodlands in the Parish—Millwood & the Alder Carr. 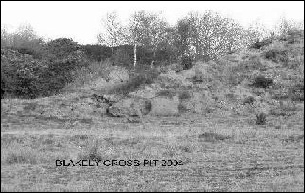 They provided timbers and coppicing.